Can I Get Rid Of My Home If I File For Bankruptcy? Yes, you can. And sometimes that is the best decision to make. Especially if the home is completely underwater (i.e. there is absolutely no equity, and in fact, the amount you still owe is far more than the fair market value of the house), the monthly payments on the house note are too high (as a result of an adjustable interest rate attached to the mortgage, or a refinancing that went wrong), or you just simply do not want the asset any longer. I have had many clients in the last several years who have tried valiantly to keep their homes. They tried with everything they had to receive a modification of their home loan, filling out all the paperwork, sending everything in on time. And every attempt met with the same result: The mortgage company claimed that they didn’t get the paperwork, or that they needed more documentation, or that it was sent to the wrong department, etc. These tactics used by the mortgage industry are infuriating and have only caused further angst. And of course, a common response from the mortgage industry when they receive complaints from home owners is: “Hey, you took the risk when you bought the house. Real estate is and can be a risky venture. You rolled the dice, and you lost.” Of course there is hint of truth to this. Whenever you buy anything, you are taking the risk that the seller is accurately representing themselves with honesty and integrity. And it is possible that when times get rough, they will blame the buyer for having the audacity to trust them. But when attempts to keep the asset are rebuffed by something like “we didn’t get your paperwork,” the frustration grows stronger. This is a long-winded way of saying, yes, you can get out from underneath the burdensome asset when you file a bankruptcy. When you do, all arrearage that has built up (i.e. the amount that you have fallen behind on) and unpaid real estate taxes follow the house. So you literally get out of the debt completely. 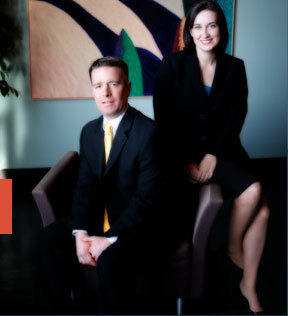 The St. Louis bankruptcy lawyers at Brinkman & Alter, LLC have helped thousands of people discharge millions of dollars of debt over the years. And along the way, our lawyers helped those people surrender the assets they no longer want to be burdened by. As a result, our clients receive the fresh start / clean slate they deserve.